Donkey Kong had only previously been known as the damsel-kidnapping ape in the 1981 video game of the same name. However, 1994 marked the release of Donkey Kong Country, a game which allowed this hulking ape to take on the protagonist role. Released by Rare on the Super Nintendo, Donkey Kong Country allowed gamers to play through 40 side-scrolling platforming levels. 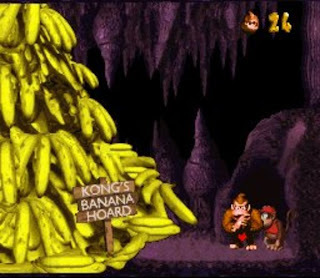 Like many retro games, the premise was a simple one-navigate Donkey Kong through each level so that he can finally take back his stolen banana hoard from the Kremlings. Side-scrollers can sometimes fall victim to repetitive game play, where players can find themselves repeatedly fighting the same styles of enemies, and nothing more. Thankfully, Donkey Kong Country avoids this issue by including a variety of objectives, such as mine-cart riding (my personal highlight), swinging from vines, launching Donkey Kong from barrels, swimming, riding on a host of crazy looking animals, and much more. These activities are only further enhanced by the welcome addition of multi-player functions, so you and a friend can work together to make it through each level. Players get to choose between playing Donkey Kong or his nephew, Diddy Kong. Both have different abilities, so it is up to you which you prefer, but personally, I have always felt that Donkey Kong was the stronger of the two, so defeating enemies was a lesser challenge than with the more weaker, but agile, Diddy. What makes Donkey Kong Country so memorable, even in today's standards is the graphics adopted within the game. Back in 1994, Rare adopted some rather revolutionary pre-rendered 3D graphics, which resulted in an impressive and memorable look which had not been seen on the SNes previously. Coupled with a catchy and crisp soundtrack, it is evident that a lot of time and effort went into making this game. As for the negative points, in all honesty, there are not many. My only concerns is that the game can get rather challenging, especially if played on the single player mode. However, rope in a player who you know deals well with a tough challenge for the multi-player mode, and you should be able to sail through the game with less struggling points. So, after all these years, is it still worth trying out Donkey Kong Country? My answer to that would be a solid yes. 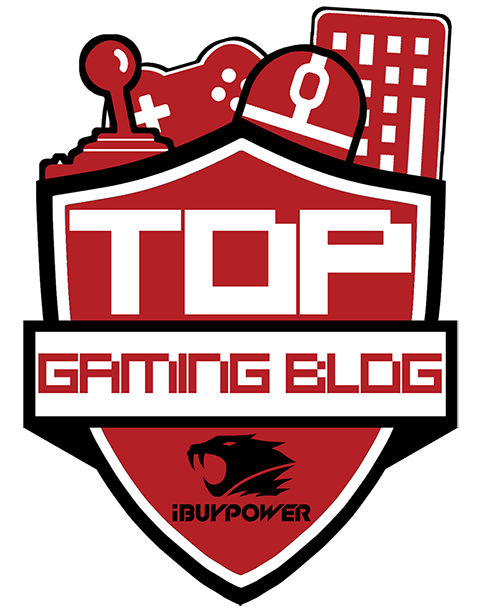 The game is full of exciting and well-designed levels that are enhanced when played with another player in one of the multi-player modes. The graphics for it's time definitely helped to make Donkey Kong Country stand out above the rest, and for this, I feel that it is worthy to be checked out. Donkey Kong Country Returns has since been released on the Nintendo Wii, but I suggest giving the original a go first before launching yourself into this re-vamped version. Did you ever have the video they released as a promo? I loved this game when i was a kid, seems like a real long time ago.